Many people are expressing science-fiction levels of fear at what the near future may look like with the mass integration of AI into society. Artificial Intelligence has become commonplace to the point where many don’t even realize they use Artificial Intelligence on a daily basis. Last year, 84% of people used AI to do things that make life easier. Filtering out junk email, asking Siri where the nearest burrito place is, and those Facebook ads that seem to know us better than we know ourselves―these are just a few of the things AI does for us. Despite the great majority of people using the technology, only half of them even realize they are talking to a machine. The innovations in AI are astounding, and what machines can do is growing more and more similar to human behavior all the time. Through machine learning and deep learning, AI can learn to hone specific skills and complete tasks more efficiently over time. Anything from search engine optimization to routine functions in manufacturing can be learned and mastered by Artificial Intelligence. Many people are expressing science-fiction levels of fear at what the near future may look like with the mass integration of AI into society. With shows like Black Mirror, the impact technology in general and AI in particular will have on humanity going into the future has many people worried. From the automation of jobs to the perceived threat of emotionally sentient robots, there are many fears being driven by the shift. While it is easy to understand these fears, the simple and more positive truth is that AI does make life easier. A reported 68% of people say they would be more likely to use AI if it saved them time or money. 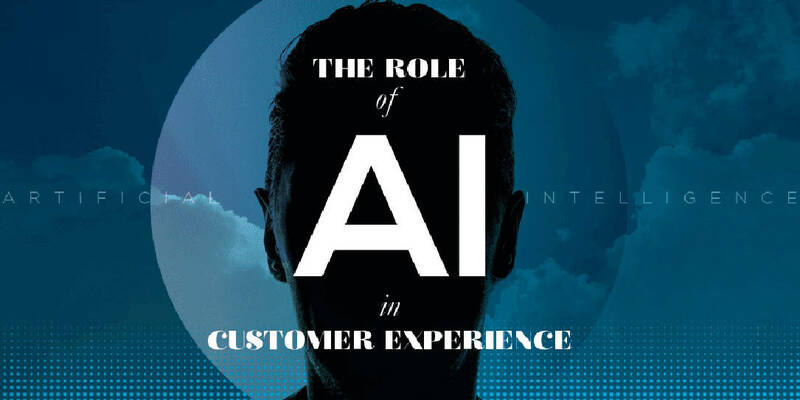 One major way Artificial Intelligence is doing this is through customer service bots which can predict a customer’s course of actions in regards to continuing a service. Learn more about the Role of AI with the infographic below, provided by CallMiner.